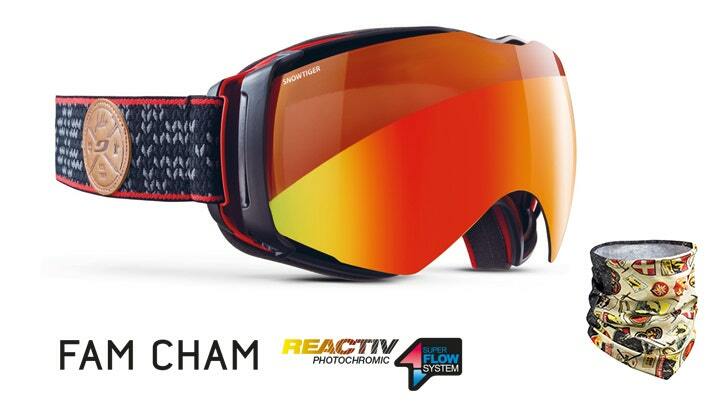 Presenting the new FamCham goggles. Favret, Léo Slemett and Pica Herry. 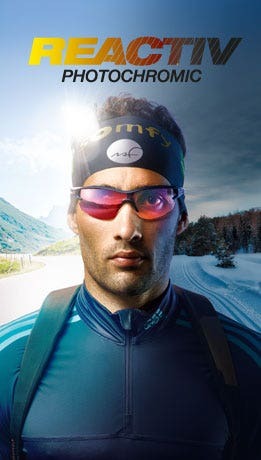 The FamCham goggles are the product of input from five skiers and snowboarders: dedicated ski goggles featuring all our best technology (Superflow System, Reactiv Photochromic and Minimalist Frame). 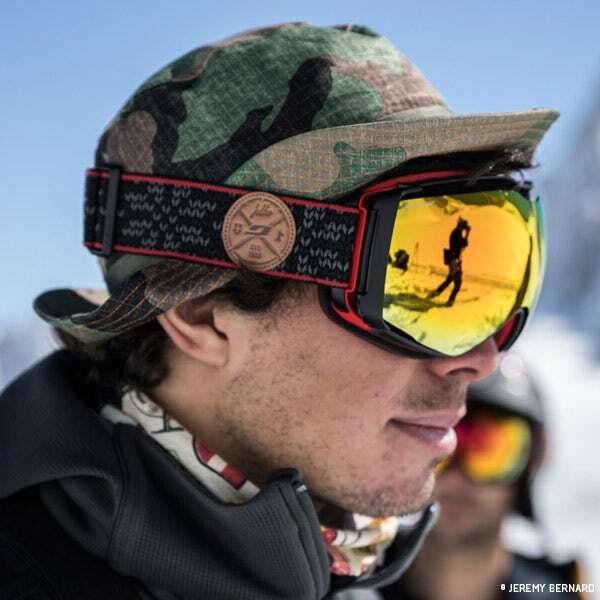 The reference to Chamonix is obvious from the first glance – graphics chosen by the five skiers who grew up in this valley can be seen all over the goggles. On one side, there are ice axes, skis, the Chamonix coat of arms and an edelweiss, among other things. The other side features the knitted stitches of the ever-iconic jacquard sweater, worn by the first mountaineers and skiers. 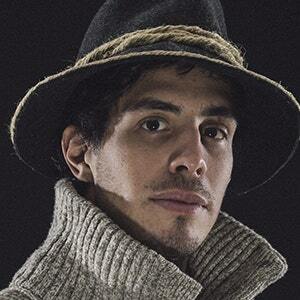 These Chamonix men from the valley of the same name are instilled with a heritage passed down the generations. Mountain values are made to evolve while still respecting their roots and these men know that. Long gone are the wooden ice axes and hemp ropes; today they use materials that are much lighter, which opens up the possibilities for exploration. Here we meet five Chamonix men whose paths are inter-connected; at some point they have all shared a mountainside with each other. Born in Chamonix, Vivian Bruchez is a key figure in the world of the mountains and extreme skiing. 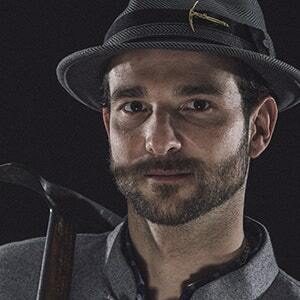 On his own or skiing with mountain men like Jonathan Charlet, his thing is opening new ski routes. "Heading to the mountains means heading for adventure. Exploring; setting off into the unknown. You never know what you’re going to find under the surface.” Vivian is famous for his love of steep slopes and gullies as demonstrated in the Julbo White Session 2016. 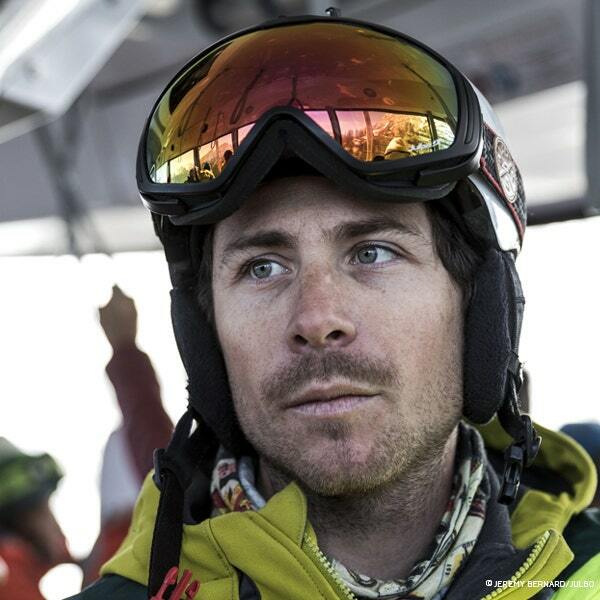 After picking up multiple podium places and victories in the Freeride World Tour and with a Snowboard Freeride world champion title in 2015, "Doud’s" now devotes himself to his job as a high-mountain guide, specializing, as he puts it, "in steep slopes". In other words, in Chamonix gentle slopes just aren't an option. "What's fantastic in Chamonix is that you can take the first cable car up in the morning, ride down the best slopes in the world and be back down in the valley in time for pre-dinner drinks." This Chamonix guide and ski instructor is a great friend of Sam Favret, and they can be seen more than once in the film "Backyards" roped together or bombing down the finest faces in the valley. 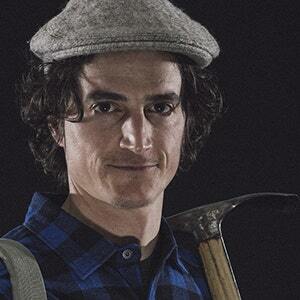 This Chamonix native has given us a real treat with the release of "his" film, aptly named "Backyards". 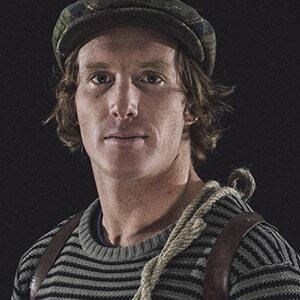 Whether it's skiing in the seracs and crevasses of the Mer de Glace, hurtling down multiple gullies with his friends, including a certain Pica, or undertaking technical ascents of the surrounding peaks, Sam is undoubtedly one of the most complete and gifted skiers of his generation. A lover of his own “backyard”, he helped an amateur discover it in the 2015 Julbo White Session. 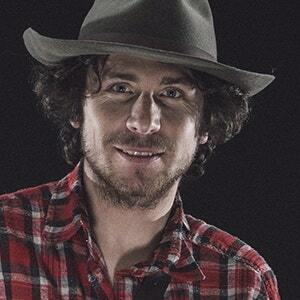 He grew up in the valley and fell into skiing as a little kid. He enjoyed competing and after starting out in downhill, the man who never missed an opportunity “to flip his body”, turned his hand to freeride. He's skied alongside Sam Favret (5 years his senior) and still skis with him today. 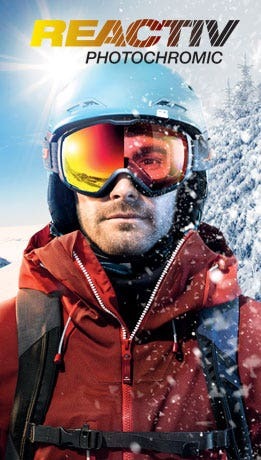 Take the Aerospace, featuring the best of Julbo technologies such as a photochromic Snow Tiger lens, Glare Control, the Superflow System and Minimalist Frame. 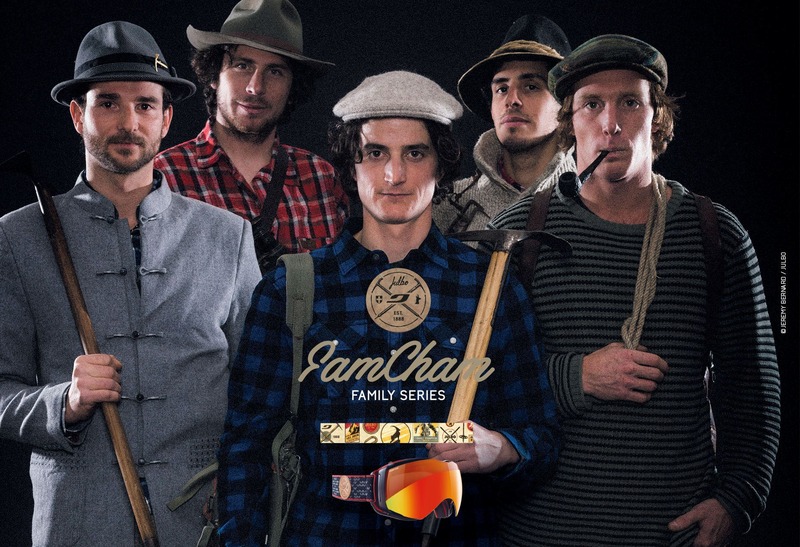 Add to this the madcap input of Vivian Bruchez, Doud’s Charlet, Sam Favret, Pica Herry, and Léo Slemett, five born and bred Chamonix boys… and you get the wildest goggle now out there! Packed with references to the spirit of Chamonix, it's already a collector's item!